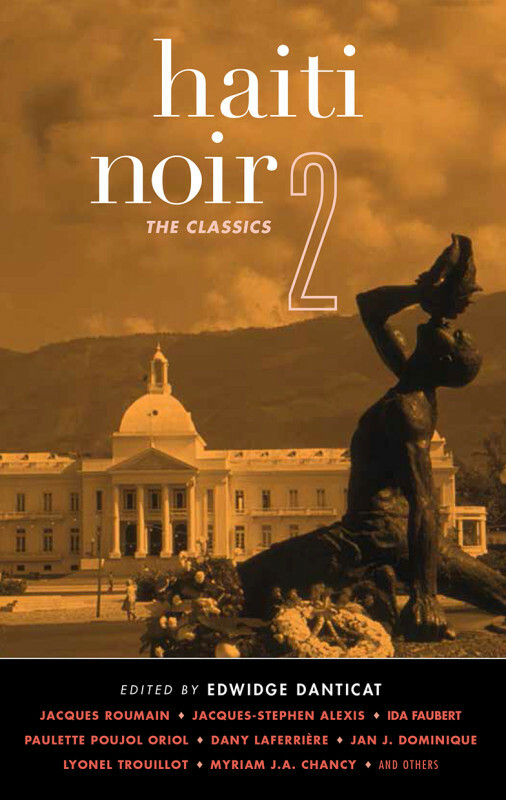 Akashic has just published Haiti Noir 2: The CLassics, edited by Edwidge Danticat. Here’s a brief review from Publisher’s Weekly. The second Haiti entry in Akashic’s noir anthology series reprints 16 stories, two novel excerpts, and one poem covering every corner of the island. Not exactly Cornell Woolrich noir, as Danticat suggests in her introduction when she notes that she wanted to include writers she admires, but the “noir genre, or elements thereof—however stretched—narrowed” her choices. But then, Haiti in general seems foreboding enough, with one of the authors (alongside his supporters) killed by Duvalierists in 1961, another by the 2010 earthquake. Nick Stone’s “Barbancourt Blues” gets the right mood with a man stalked by gangs of young boys, waiting for a chance to take him down. Roxane Gay’s “Things I Know About Fairy Tales” covers the kidnapping of une dyaspora—a native who has moved to another country but returned to visit relatives. The strong point for this volume is that almost all of the stories are by actual Haitians.